So, do you think you can only fully appreciate a movie in a cinema? Does a film become less important when it is only being screened on personal devices? Does it become a telemovie or, worse, a mediocre B-rate flick which most direct-to-video films are perceived? I’m asking all these questions because the line is not so clear now. With the emergence of online-streaming giants like Netflix and Amazon, some films are seeing their audiences for the first time on personal screens, be it mobile devices or home screens. And they can be great films, some of which would have otherwise not been made! Okja is good example. The feature-film by Bong Joon Ho was selected to premiere at the prestigious Cannes Film Festival in May but was greeted by jeers from some members in the audience when the Netflix logo appeared on screen. No prizes for guessing the culprits – the incident arose after weeks of unsettled discussions between Netflix, the Cannes Film Festival and the National Federation of French Cinemas, questioning if movies primarily released on streaming platforms should be considered as cinematic works. Cannes has since announced that, from next year, only films with scheduled theatrical releases in France would be considered for competition at the festival. Ironically, Okja, went on to receive great reviews by both critics and media after the Cannes screening, and at the recent premiere in Bong’s home city in Seoul. The film has since played to sold-out capacities, even though on only 94 screens against over 2,500 screens across Korea operated by three other major cinemas, who refused to show Okja together with Netflix’s same-day streaming. Sorry if the above sounds a bit technical, but the main point is, a good film is a good film regardless of platforms. In fact, Okja has warmed its way into my ‘Top 10 favourite films’ list. Check out our interviews with Bong and his cast inside. Meanwhile, closer to home, Spider-Man: Homecoming’s Tom Holland was recently on our shores! Yes, Singapore is proving itself to be quite a hot destination for many Marvel-lous characters… Check out our interviews with him and Jacob Batalon inside as well. 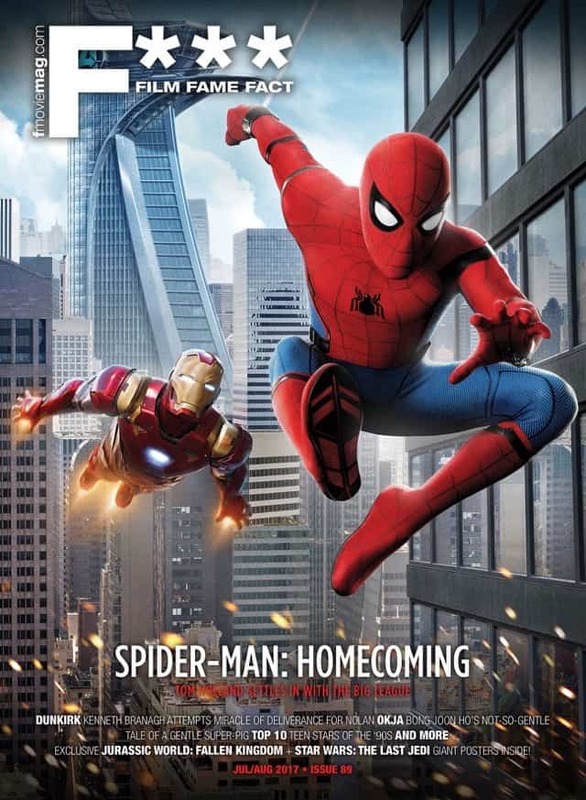 And not to undermine the power of the digital era, we are releasing our Spidey issue with a different cover for the digital edition. We’ll see if Holland’s huge millennials fan base will favour digital or print. Yes, we have embraced change for a while now, and a good movie magazine is a good movie magazine regardless of platforms. Right? Heh. Jul/Aug 2017 #89 is out on newsstands and digital stores now! Limited print issues are also available via our E-Shop.